Obesity seems to have the same cause the world over, in both humans and lab animals: It results from food toxicity compounded by malnourishment. The most important food toxins are cereal grains (especially wheat), omega-6-rich vegetable oils, and fructose from sugar and corn syrup. 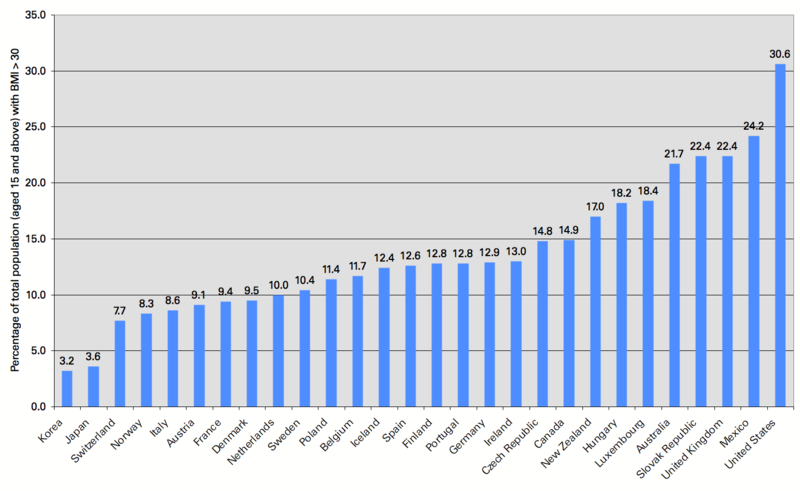 Look at the two low-obesity countries at the left of the chart: Japan and Korea are the only two Asian countries in the sample. What are they doing right? They consume far less vegetable oils than Americans. They consume far less sugar than Americans. With a minimally toxic diet, it’s almost impossible to become obese. 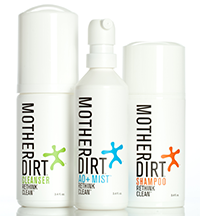 Of the three main toxins, which is the most important single factor in causing obesity? An interesting place to look for an answer is the China Study. Since some regions of China traditionally eat wheat and others rice, the China Study is especially effective at distinguishing the obesity-promoting effects of wheat toxins. The China Study compiled massive epidemiological data by region, including correlations between wheat and rice consumption and body weight and body-mass index (BMI). In both China Study I and II, wheat is the strongest positive predictor of body weight (r = 0.65, p<0.001) out of any diet variable. 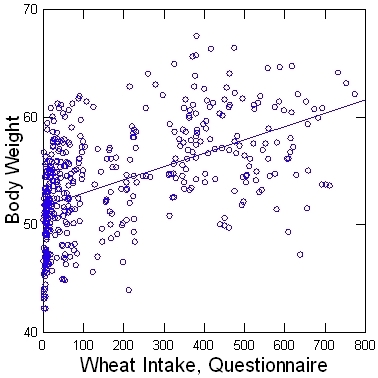 And it’s not just because wheat eaters are taller, either, because wheat consumption also strongly correlates with body mass index (r = 0.58, p<0.001). Denise goes on to point out that the correlation of BMI with wheat intake is 56%, with calorie intake only 13%. It seems the evidence is consistent. It’s not eating more calories that makes a person fat. It’s overdosing on toxins – especially wheat toxins. Animal protein is healthier than plant protein. Dairy fats are good, but dairy proteins can be problematic. Grains are bad – especially wheat – but rice is OK.
Calories should come predominantly from fat. Now, Stan the Heretic has done more work in the raw China Study data and shows charts that support the Perfect Health Diet and similar diets such as Jan Kwasniewski’s Optimal Diet. What the Perfect Health Diet and the Optimal Diet have in common is that around 65-70% of calories come from fats, not carbs or protein. (The Optimal Diet is a bit higher in protein than carbs, the Perfect Health Diet a bit higher in carbs than protein, but the two are close.) By the standard of both diets, popular diets all over the world have too much carbs and (arguably) too much protein, not enough fats. So we would expect to see that in China, people who eat more fat have better health, while people who eat fewer carbs or less protein have better health. And that’s exactly what Stan reports. Cardiovascular mortality trends down as fat increases, but trends up as carb or protein intake increases. Cancer mortality trends down as fat increases, but trends up as carb or protein intake increases. Go to Stan’s site to see the charts! In the latest installment of a debate I commented on earlier, T. Colin Campbell continues to bear no resemblance to a scientist (“critics like her would like nothing better than to get me to spend all my time answering detailed questions, but I simply will not do this”). Denise Minger, who is only 23, continues to resemble a fine one. Campbell’s recommended diet is very different from the Perfect Health Diet. 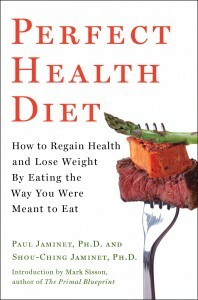 Although hardly carnivores, we at PerfectHealthDiet.com are not idolators of plant foods. Plants have much higher toxin levels than animal foods, and are more difficult to digest. Fiber is often adduced as a reason to eat plant foods, but fiber’s influence on gut bacteria is complex; not all plant fiber improves the composition of gut flora. We recommend eating daily some safe starches (sweet potato and taro are our favorites; white rice is quick and easy), fruits and berries, seaweed, and assorted vegetables. We eat vegetables mostly to improve the flavor of our meals. What would a beef stir fry, chicken soup, omelette, or bibimbap be without vegetables? But, though plant foods constitute 50-70% of the mass of food eaten on our diet, we recommend that carbs provide only 20% of calories. So, now that Ms. Minger has summarized a lot of the data from the China Study, I thought it would be interesting to see whether the China Study data is supportive of the Perfect Health Diet. The China Study data, as summarized by Ms. Minger, is relevant to four of our claims. The Perfect Health Diet deprecates plant proteins (which are often toxic) and recommends that protein be obtained from meat, fish, and eggs. However, we also recommend lower levels of protein consumption than other Paleo diets. We personally obtain about 10% of calories from protein. So, did the China Study prefer plant or animal sources of protein? And what is its result for total protein intake? The positive numbers mean that more protein is associated with more cancer deaths, suggesting that Chinese should eat less protein. Since the plant protein association is higher than the animal protein, it’s better to eat animal protein than plant protein. Just as we would expect! Looking at myocardial infarction and coronary heart disease, fish protein was apparently protective (perhaps because it comes with omega-3 fats), animal protein was neutral (as we would expect from healthy protein, which is fairly innocuous health-wise), and plant protein was harmful (as we would expect from toxins). The Perfect Health Diet strongly approves of dairy fats (such as butter and heavy cream – clarified butter or ghee for those with dairy sensitivity) and approves of fermented dairy products (yogurt, cheese), but recommends avoiding most dairy protein – especially products containing pasteurized cow casein that has not been pre-digested by bacteria. Meat, fish, and eggs are all healthy. Milk and dairy products – higher blood pressure. Presumably this is because of the casein. Why does Campbell indict animal foods in cardiovascular disease (correlation of +1 for animal protein and -11 for fish protein), yet fail to mention that wheat flour has a correlation of +67 with heart attacks and coronary heart disease, and plant protein correlates at +25 with these conditions? Note that almost everyone in China eats substantial amounts of either rise or wheat; the people who eat little wheat eat a lot of rice. Wheat has a high correlation with disease only because rice is anti-correlated with disease. If rice were not safe, wheat would not appear so dangerous. In fact, the correlation coefficient of rice with heart disease deaths is -58%, almost the opposite of the +67% for wheat. Other grains had a correlation coefficient of +39%. So: rice good, other grains bad, wheat worst of all. The Perfect Health Diet recommends obtaining most calories from fat: the ideal macronutrient ratio is around 20% carbs, 10% protein, and 70% fat by calories. These fat calories should consist of saturated and monounsaturated fats; polyunsaturated fats should be less than 5% of calories. No region in China eats at these macronutrient ratios, but one comes substantially closer than others: the county of Tuoli. Located in the far northwest of China, Tuoli is occupied by a herding people who traditionally eat a great deal of dairy and meat but very few vegetables. While the average macronutrient intake of all counties in the China Study was 74% carbs, 10% protein, 16% fat, the macronutrient intake in Tuoli was 35% carbs, 19% protein, and 46% fat. Helping the comparison with the Perfect Health Diet, the Tuoli obtain their fats predominantly from dairy and meat; these contain few polyunsaturated fats. Plant oils, legumes, nuts, eggs, and fish are all non-existent in their diet; so we can be sure they aren’t eating soybean oil, canola oil, or corn oil. 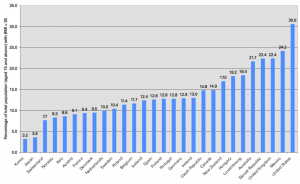 So how do the people of Tuoli stack up in health compared to the rest of China? Pretty well. Death from all causes for people under the age of 65 was lower in Tuoli county than in 11 of the 13 counties that ate the least animal protein. This excellent result was achieved even though the people of Tuoli are among the highest consumers of wheat in China: they average 0.82 pounds per day of wheat flour. Without their high consumption of this most toxic of foods, Tuoli county might have the best health in China. Add another point in favor of fat-rich diets. In reading Ms. Minger’s discussion, I was able to find only a few correlations that went the wrong way. The only significant one was the correlation of sea vegetables with colorectal cancer (+76%). We highly recommend seaweed consumption, in part for its high content of iodine and other micronutrients. However, as Ms. Minger notes, the association of seaweed with colorectal cancer is the result of a confounding factor. The areas of China that eat a lot of seaweed have very high rates of schistosomiasis infection, which is an extremely strong promoter of colorectal cancer. At least in the data provided by Ms. Minger, there appears to be no data from the China Study that contradicts a recommendation of the Perfect Health Diet, and plenty of data that support our recommendations. It seems that the China Study is much more supportive of the Perfect Health Diet than of T. Colin Campbell’s diet! This doesn’t surprise us: the Perfect Health Diet is the result of a rigorous five year search through the literature, and every recommendation has, we believe, the weight of scholarly evidence behind it. But it’s nice to examine new data and find that it agrees with our findings. I’m tempted to look into the raw data of the study, now available from Oxford University’s web site , to see if the rest of the study is also supportive of our recommendations. Thanks much, Denise, for your work. Bravo! A fine analysis of a large data set. Denise Minger, http://rawfoodsos.com/2010/07/07/the-china-study-fact-or-fallac/. Hat tip Stephan Guyenet, for the link. “Diet, Lifestyle and Mortality in China,” http://www.ctsu.ox.ac.uk/~china/monograph/chdata.htm.